Thousands of military families will soon hit the road en route to their new duty station. You've secured housing, have important documents in hand, and the car and rental truck are loaded and ready to hit the road. 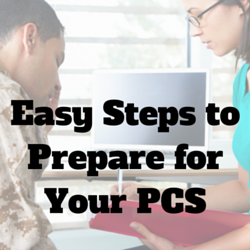 While the list to prepare for a PCS move is long, it can be easy to overlook the details of your trip across the country. We've compiled a list of some safety tips you'll want to remember before you hit the road. Have your car serviced by a reputable mechanic. Checking the fluid levels, tire pressure, and condition of major systems can eliminate the dreaded breakdown on the road. Be sure to check the condition of your wiper blades, as this is easy to overlook in the summer months but can be critical to your safety in the event of precipitation. Purchase a vehicle emergency kit. Purchase a kit that contains flares, reflective triangles, jumper cables, fix-a-flat, flashlight, and other essential items. Adding a first aid kit, wet wipes, rain poncho, and old towels can prove to be valuable items as well. Be sure to pack this item last, leaving it accessible in the event of an emergency. Check the tire pressure on your spare tire. The spare tire often falls by the way of “out of sight, out of mind” until you need it. Don’t be left with a flat spare and while you're at it, make sure your jack is in good working condition as well. Check your lights. If you're towing a trailer or car carrier, ensure that brake and blinker lights are working properly and that all wires and chains are well secured. Invest in roadside assistance. Refer to your car insurance policy or invest in an AAA membership to make sure you have options for roadside assistance, should the need arise. If you are renting a moving truck or trailer, keep the emergency contact information accessible. Keep a weather eye to the sky. Weather happens in a moment, so be sure to keep an eye on the sky, listen to local radio stations for any weather updates, and watch weather reports before you turn in for the night. Another idea is to download a weather warning app which will give you alerts about severe weather based on your GPS location. Receiving timely warnings about severe weather while you are on the road can save you and your family from potentially threatening situations. Because the app is constantly running in the background, it will be important to manage the battery drain of your phone, which leads us to the next point. Invest in a car phone charger. Don’t leave it to chance that your cell phone battery will last all day. Utilize walkie-talkies for between car communications. These handy devices make it easy to talk with the occupants of the cars you are traveling with. No need to take your eyes off of the road to dial a phone or use up precious minutes. Lock your car. When stopping for breaks, always roll up windows and lock vehicle doors, even for short stops. Never let children go to the restroom alone and use a buddy system, if possible, any time you venture away from the vehicle. Move to safety. In the event your vehicle breaks down, move your vehicle to a safe location. Use flares or reflective triangles found in your emergency kit to warn other drivers. Call for roadside assistance and remain in the vehicle until help arrives. Secure your lodging in advance. Utilize PCS Lodging to make reservations at military temporary lodging facilities or hotels along your route to ensure that you always have a safe place to stop for the night. 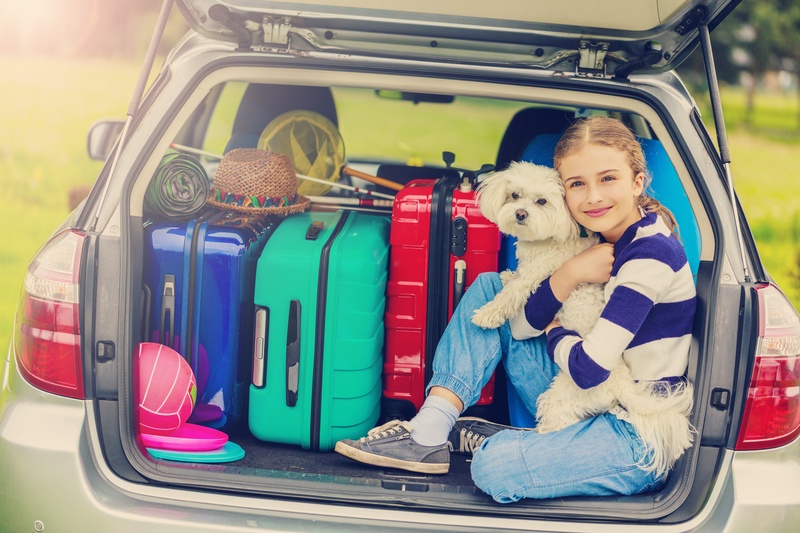 If you are traveling with pets, be sure to make reservations at pet-friendly establishments. Keep electronics and valuables out of site. Use a covered tote to keep your valuables under wrap, even when you make quick stops. Remember to remove valuables and important documents from the car when you stop for the evening. Secure your vehicles and rental truck. Park in a well-lit, visible area. At the end of a long day of travel, it's easy to overlook something as simple as where you park or remembering to lock the car. Double-check doors and windows and the security of the padlock on your moving truck. The trek across highways and byways is a standard component of a military PCS move and even if you have executed multiple moves, it's always a good idea to have a checklist so that you don't miss a key step. Taking the time to perform proper maintenance on your car, planning out your travel route and taking safety precautions along the way will ensure that your next PCS move is safe and enjoyable.